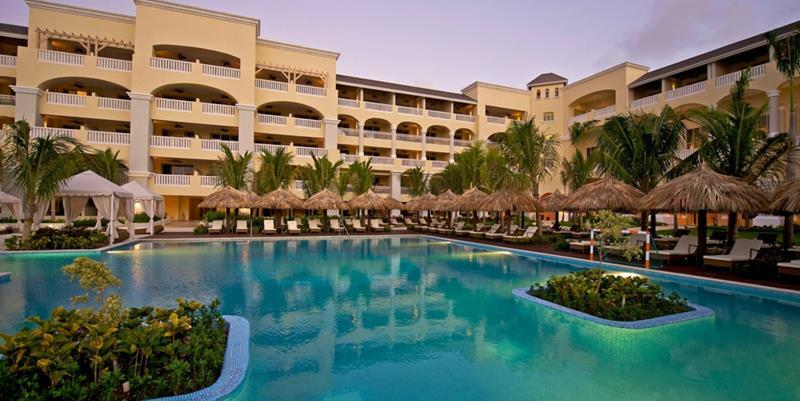 When it comes to offering the luxury resort experience, Iberostar has really made a name for itself in the travel community. 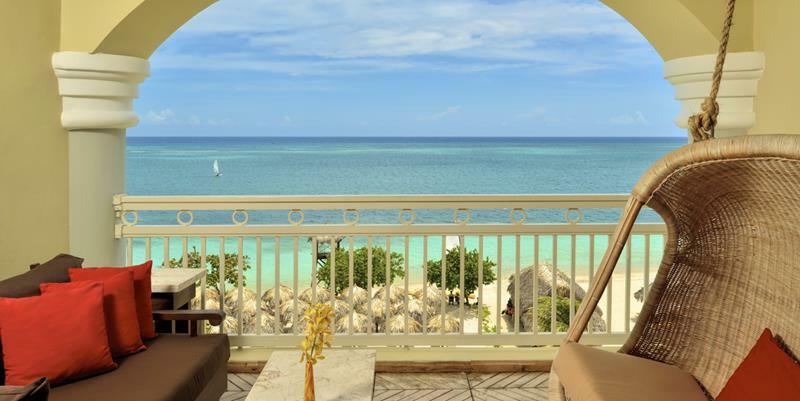 All year long, travelers rave about the quality of Iberostar’s properties all over the world, including the absolutely breathtaking Grand Hotel Rose Hall in Negril, Jamaica. 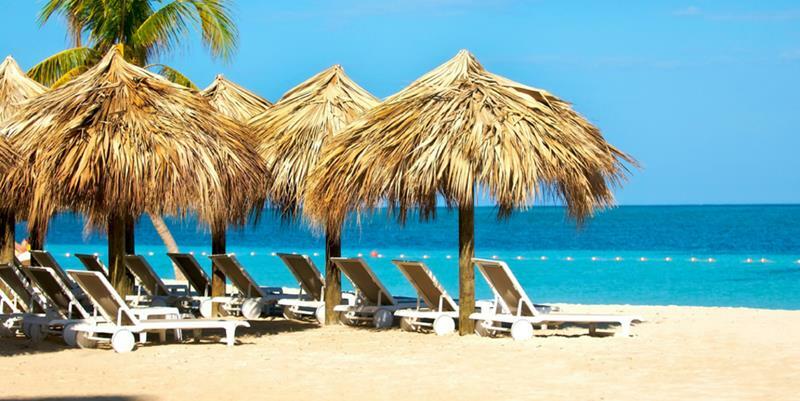 If you’re thinking about making the trek to Jamaica, then take our advice. 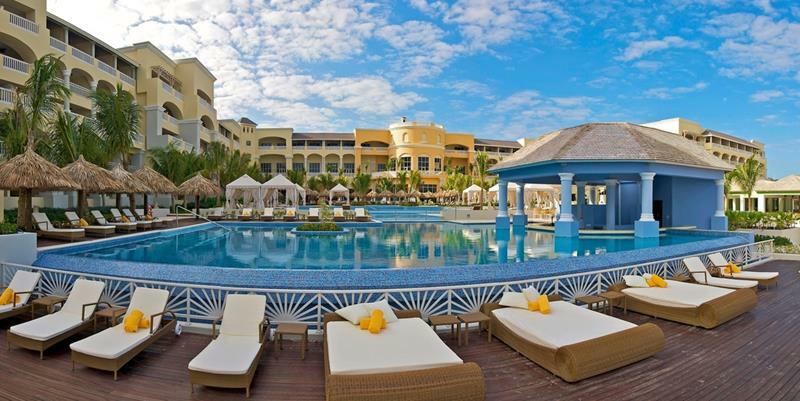 The Iberostar Grand Hotel Rose Hall is the all-inclusive resort that you want to book with! It has virtually everything the vacationer could hope for! 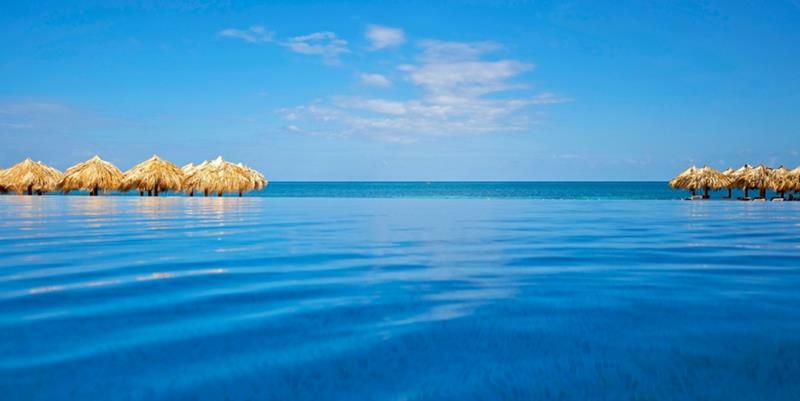 There’s an infinity pool with swim-up bar, opportunities for al fresco dining, a world-class spa, and a variety of other entertainments to be had. Oh, and did we mention that the resort itself is drop-dead gorgeous? 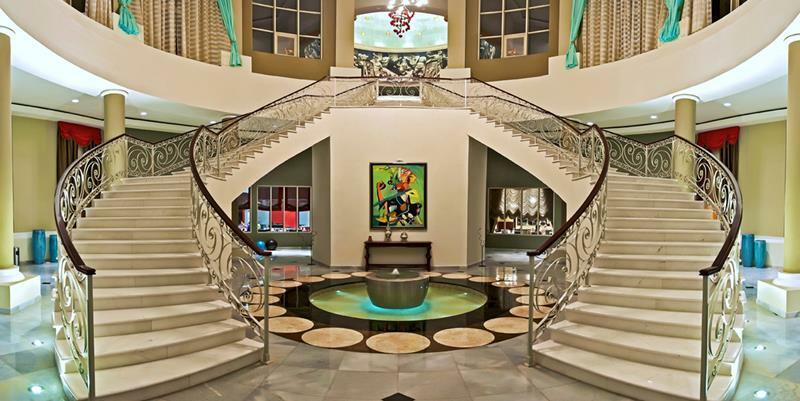 When you’re staying here, you’ll feel like you’re living in the lap of luxury, and that’s no exaggeration! But, as with most things, seeing is believing. That’s why we’d like to take you on this brief and illuminating tour of the Grand Hotel Rose Hall! 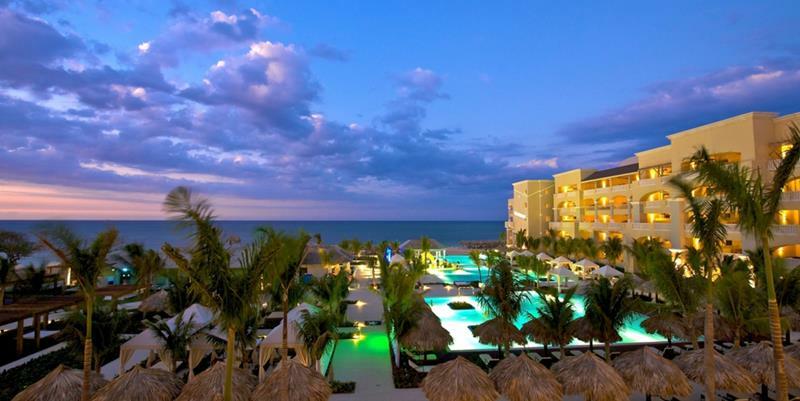 We think you’ll see why so many others have had nothing but positive things to say about this resort, and just maybe you’ll decide to book your next vacation here. 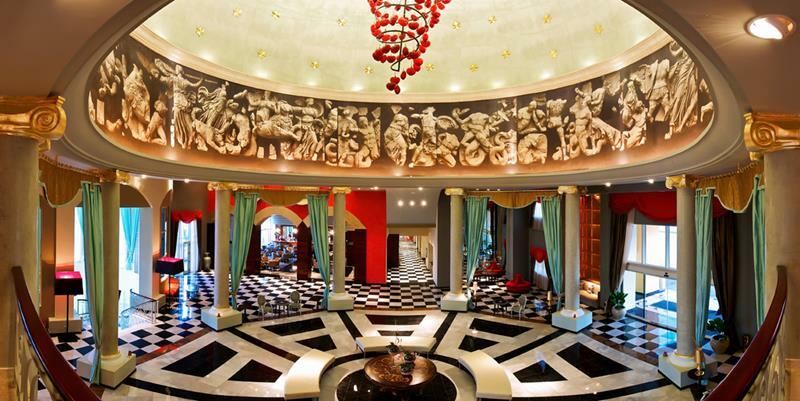 The Iberostar Grand Hotel Rose Hall has made quite a name for itself in the travel community, and right when you set foot in the lobby, it’s easy to tell why. 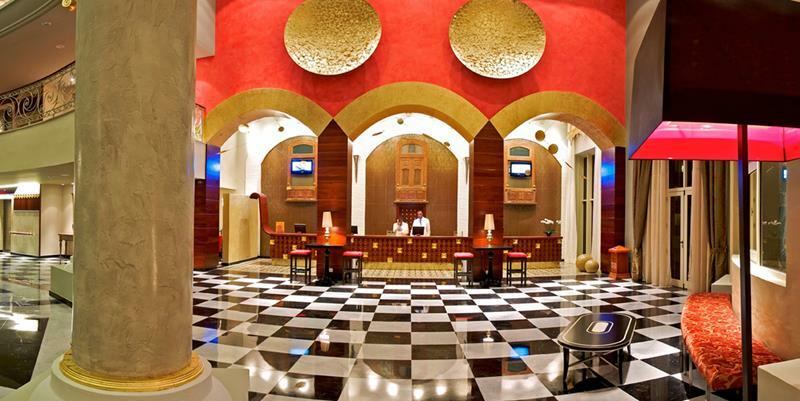 From check-in to check-out, the attentive staff of this amazing resort will ensure that your every need is tended to. 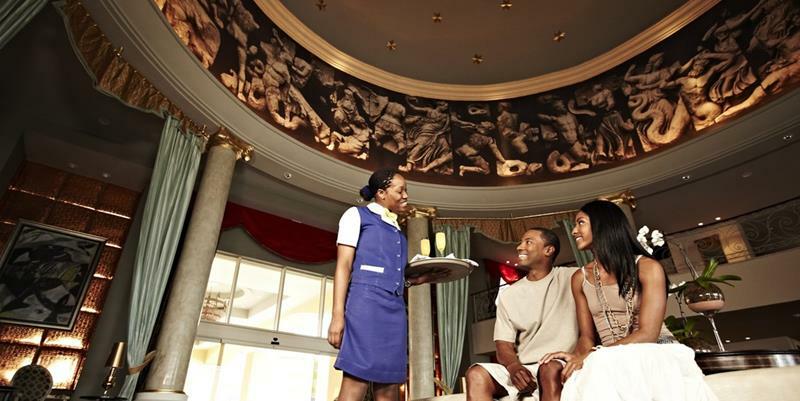 Not only is this resort architecturally beautifully, it is also adorned with wonderful examples of Jamaican artwork. But, you didn’t come to Jamaica to sit indoors. You want to experience the beautiful weather. You’ll find that the resort’s grounds are tailor made for this! 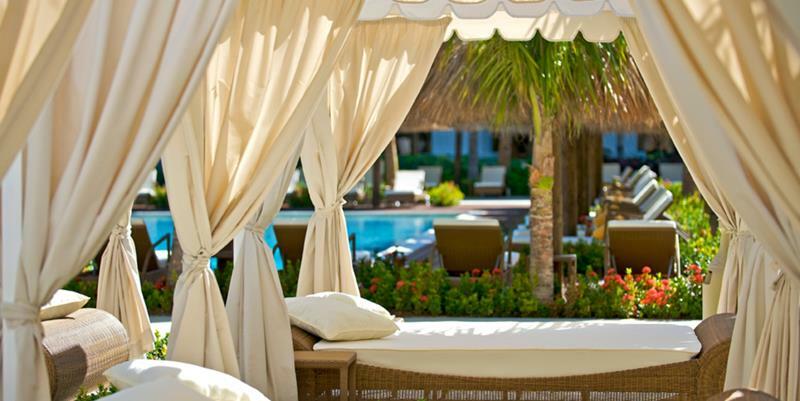 Around the main pool area, you’ll find plenty of plush beach chairs to relax in, as well as a few private cabanas. We’ll get to the spa facilities later, but know that you can always book a poolside massage if you’d like. Now, the pool isn’t just for swimming, as it also features a full in-pool bar where you can get your margaritas, daiquiris or whatever else you’d like to imbibe. 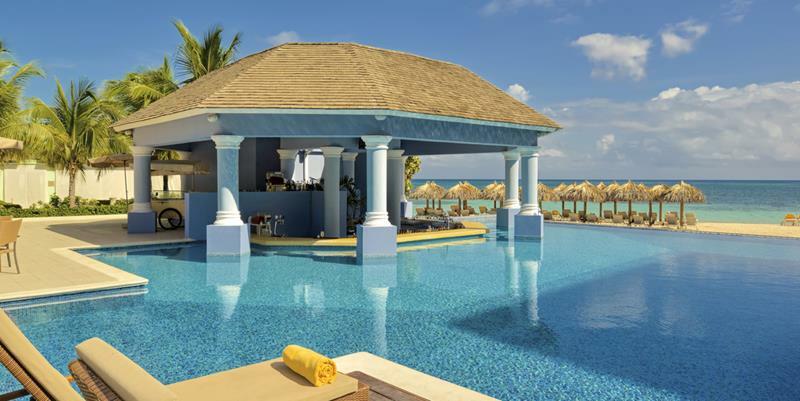 If you don’t feel like swimming around with your drink, you can always take it over to one of the generously sized day beds that are adjacent to the pool. If you want our recommendation, then make sure you head out to pool area at nighttime. That’s when the infinity effect is really striking! 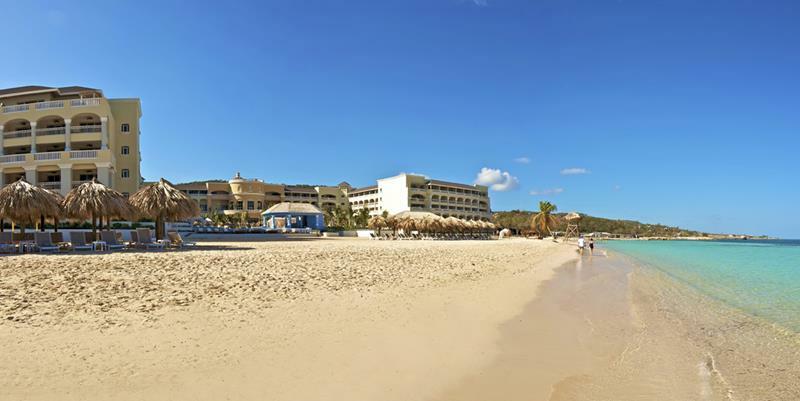 There are plenty of fine beaches throughout Jamaica and in Negril, but the Iberostar Grand Hotel Rose Hall has one of the best. But, be warned! That tropical sun can get mighty hot! Thankfully, there are plenty of places for vacationers to relax and seek refuge. 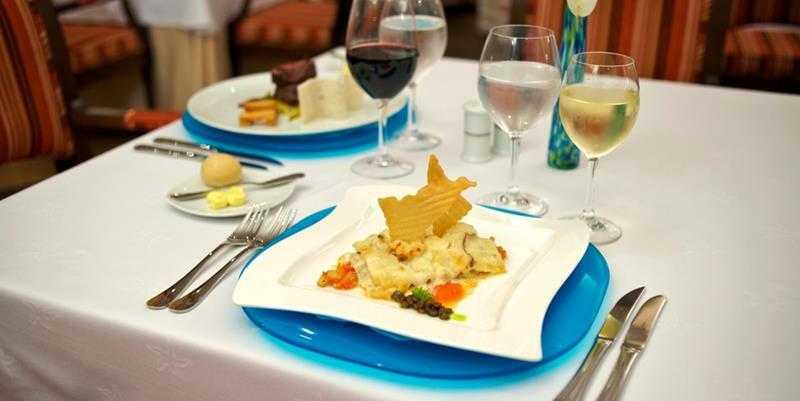 Now, that you’ve had a chance to swim, drink and explore, we’re willing to bet you’ve worked up an appetite! How about some al fresco dining? Too hot out there for you? No problem! There are a number of other dining options that are connected to the lobby. If you really want to have an entertaining dining experience, then be sure to stop by the resort’s hibachi grill! Or, if you simply want to eat casually and don’t have any specific kind of cuisine in mind, then you can hit up one of the two buffets! 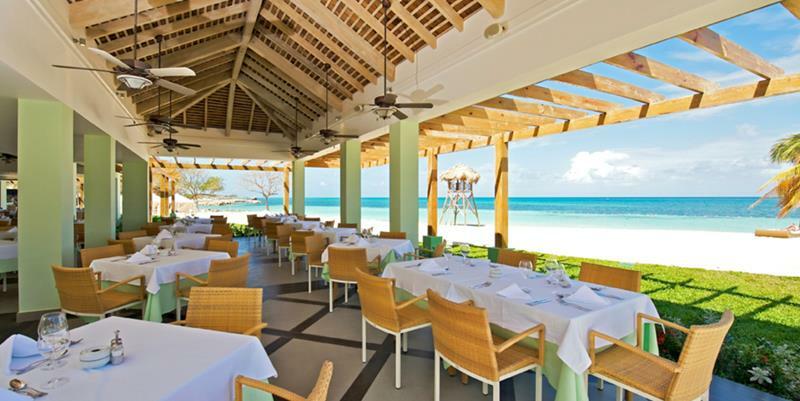 This all-inclusive resort prides itself in offering top-flight cuisine, so you can bet that you’ll be in for a good meal regardless of where you dine. The resort also aims to keep its guests entertained at all times, which is why you’ll be able to see some exciting shows during your stay. 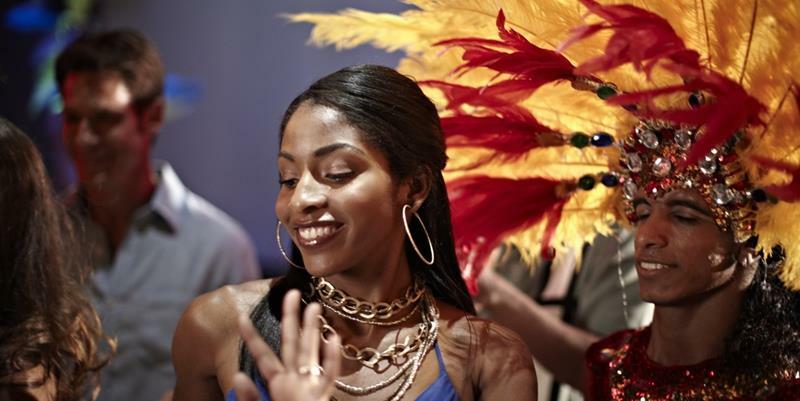 If you really want to get into the Jamaican swing of things, it’s entirely possible you might become a part of the show yourself! Got someone in your party that adores golf? 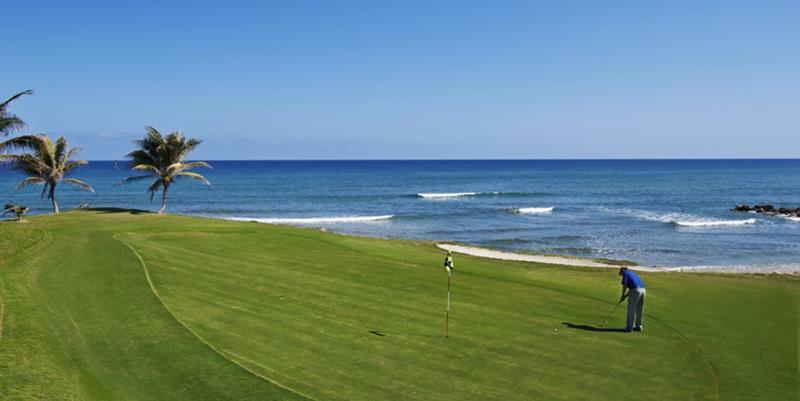 Well greens fees for two different local golf courses are part of the all-inclusive experience! Sometimes too much excitement can be a bad thing. 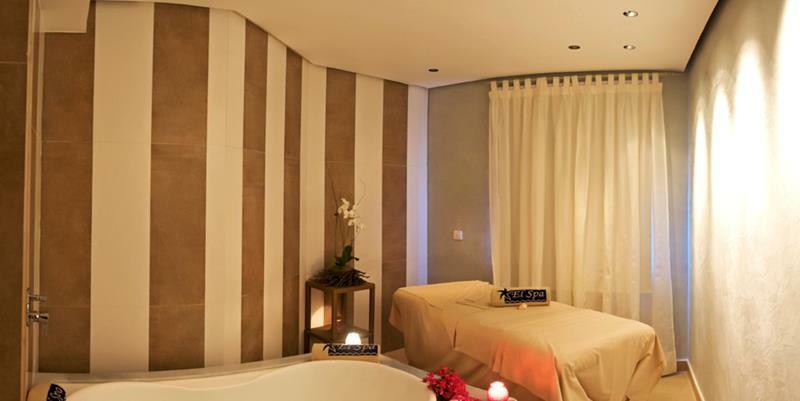 If you start to feel that way, then a trip to the resort’s world-class spa should set your straight! 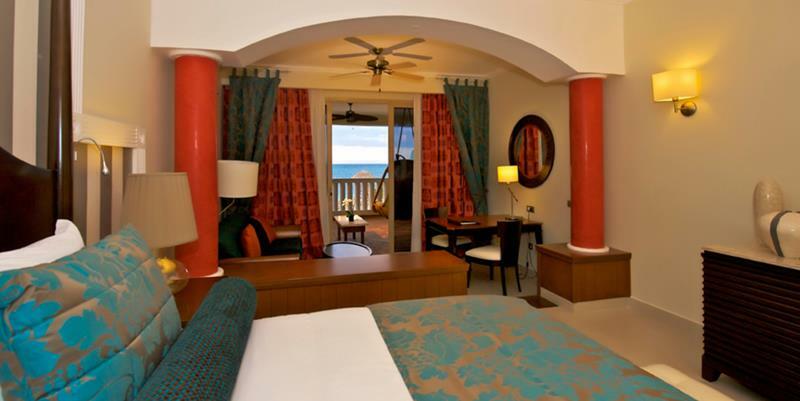 When it comes to your room (or suite), you’ll have a lot of variety to choose from at the Iberostar Grand Hotel Rose Hall! Above, you’re looking at the resort’s standard suite, which typically fetches around $275 a night. 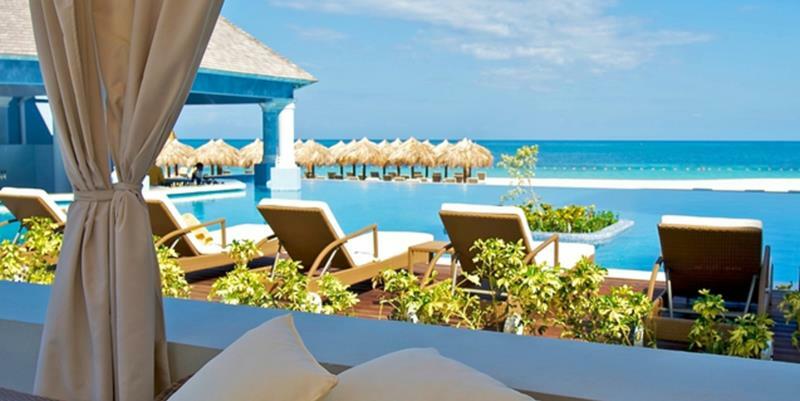 If you’re going to book with the Iberostar, trust us when we tell you to get a room with a balcony. You won’t regret a second of it! 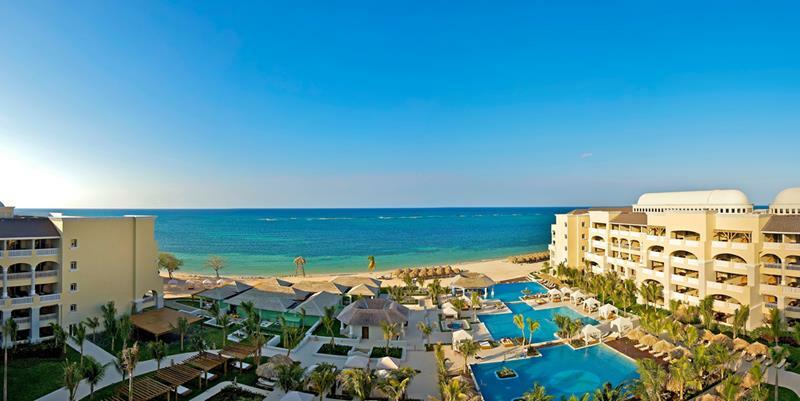 As one of the best resorts in Jamaica and arguably the world, you owe it to yourself to look into booking a vacation here. It’s certain to be one that you’ll remember for a lifetime!